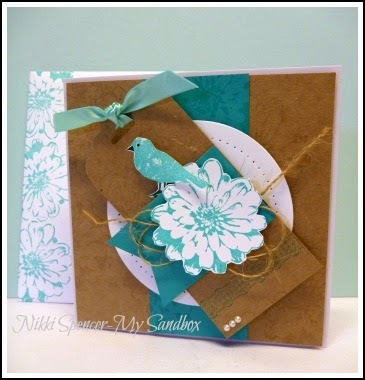 At Just Add Ink this week, we have a lovely inspiration challenge, it has pretty white daisy flowers and aqua tones. 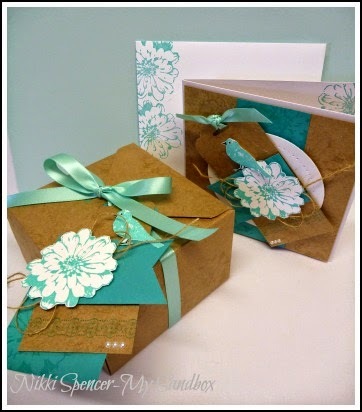 So as l was playing with those colours and the "Choose Happiness" set, l thought l'd make a couple of different style cards as well. 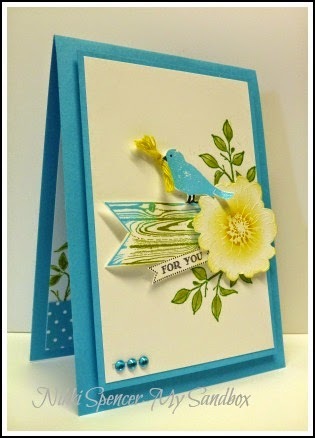 It's Just Add Ink challenge time again and this week Trish has provided some lovely summery inspiration. 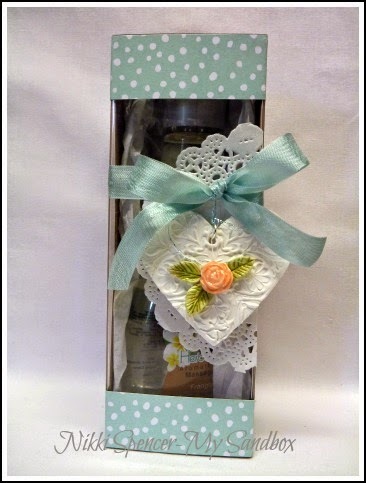 I had no preconceived ideas when l started creating this weeks sample, only that l wanted to create something with a pretty/rustic feel. l pretty much grabbed the "Choose Happiness" set and it evolved from there. 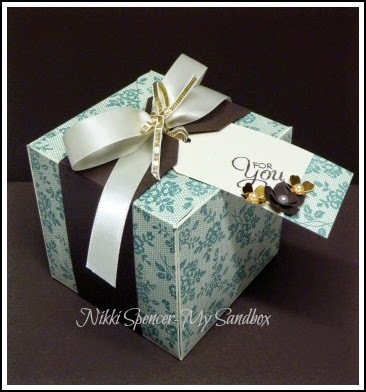 Don't for get to check out the lovely inspiration provided by the design team. 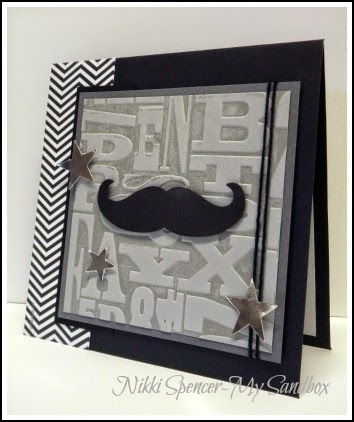 Hey there!...Just popped in to share another card for the guy's, I'm still on my quest to overcome my fear of masculine papercrafting....:0) It's pretty simple, but l did have fun inking up my "Alphabet Press" embossing folder, to create the background and it was fun to have another play with the cute Mustache die. 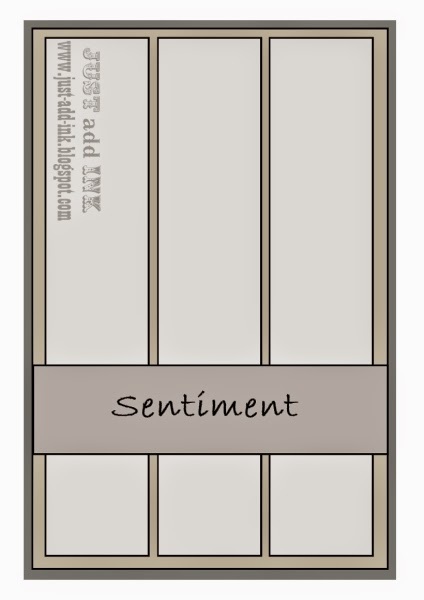 As l've been on a masculine card kick of late, l decided to keep it going for this weeks sample. I have a couple of family members that are into bikes, so this will be perfect! 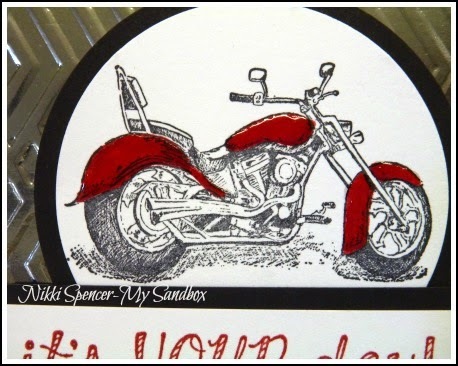 I used a retired single SU stamp called "Motorcycle", this is one of those stamps l don't think I'll part with anytime soon, especially as l don't possess a lot of images that work for the guy's. 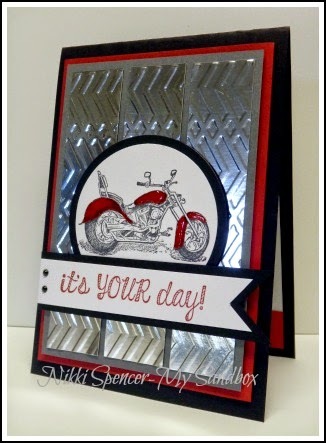 I ran the Silver foil cardstock through my big shot using the Zigzag embossing folder, as l think it works quite well with the bike image. Good Morning!...I'm back with another of my masculine card attempts. 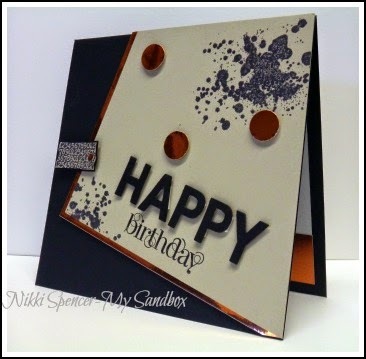 This one uses some Copper foil cardstock and is teamed with Basic Black & Sahara Sand. 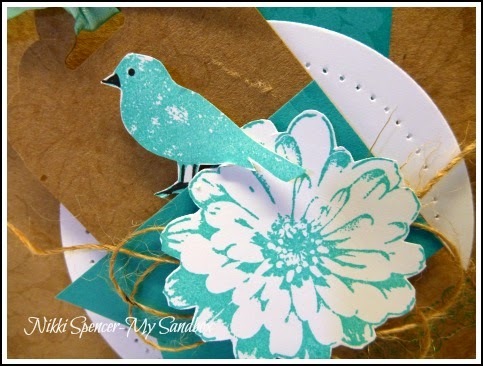 I like these colours together and the simple design makes it a quick one to create! 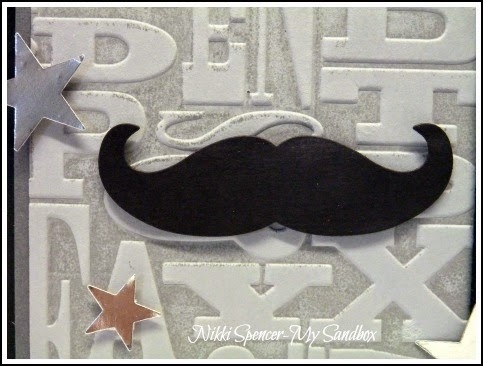 Happy Monday!...I've been making another attempt to create some masculine cards, not sure why, but l find them difficult and generally go for a CAS style and a bit on the graphic side. 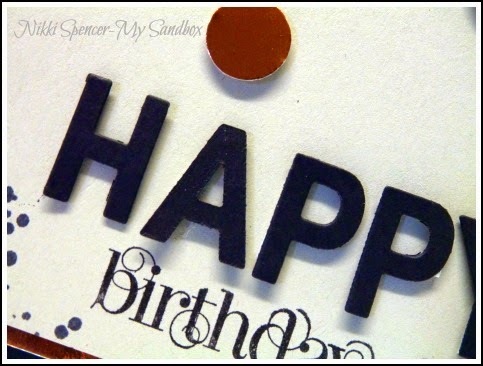 This is one of those cards! 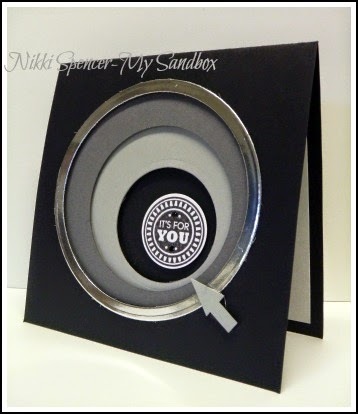 I pulled out my circle framelits and some Basic Black, Basic Grey, Smoky Slate and Silver Foil cardstocks and decided on a bit of a retro, cascading circle theme. I think it will be perfect for the younger guy age group, which is just right for my nephews or son inlaws. 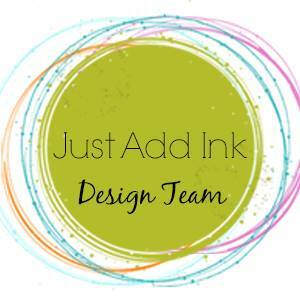 Happy Friday everyone!.....Before l get into this weeks Just Add Ink challenge, l wanted to share our Just Add Ink "Design Team" search info.....Until November 30th we are inviting papercrafters from Aus/NZ to apply for one of the 3 design team positions we have available. 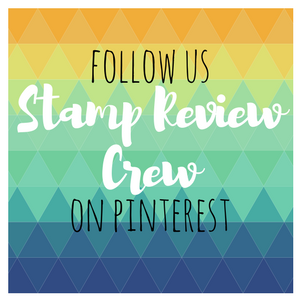 If you're interested and would like to know more, you'll find all the details Here. 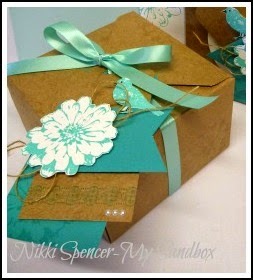 I chose to add texture by using some "Simply Pressed Clay" to create a sweet tag for a gift box gift. I took a ball of clay about the size of a fifty cent piece and using my silicone mat, l rolled it out to about 3/16" using a piece of wax paper between the rolling pin and clay to stop it sticking. 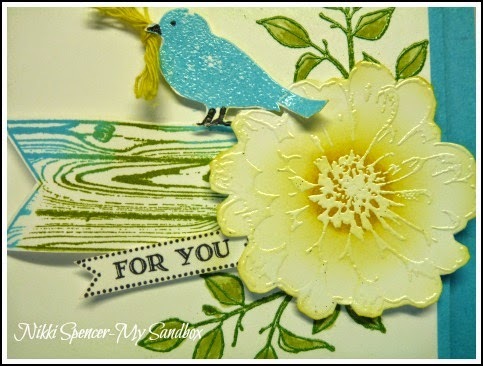 Once it was the desired thickness, l used the largest image from the "Bright & Beautiful" stamp set pressing it firmly into the clay to create the texture. I used a skewer to make a hole for the ribbon and left it to dry flat on my mat overnight. 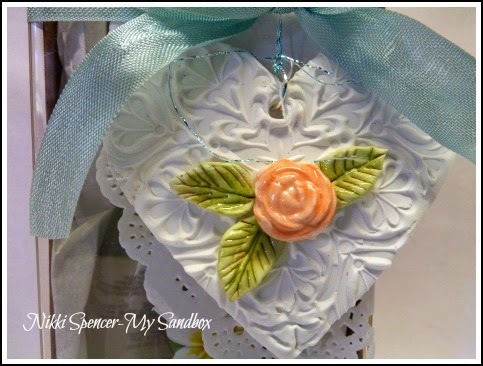 The next step was running it through my big shot with one of the "Heart Framelits" and it was done, ready to add some little clay embellishments. 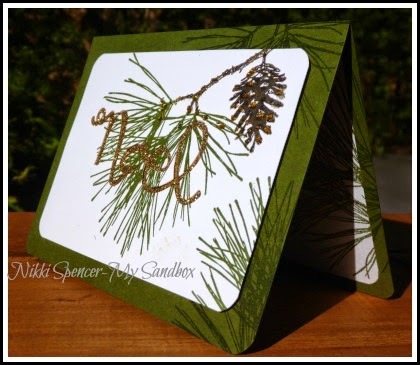 Happy weekend people!....I have another "Ornamental Pine" card to share today, it's pretty simple and easy to make. 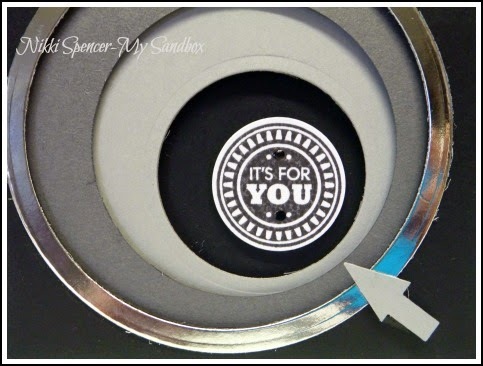 I used my circle framelits to diecut the window and then went back with the next size framelit and used it as an embossing frame. 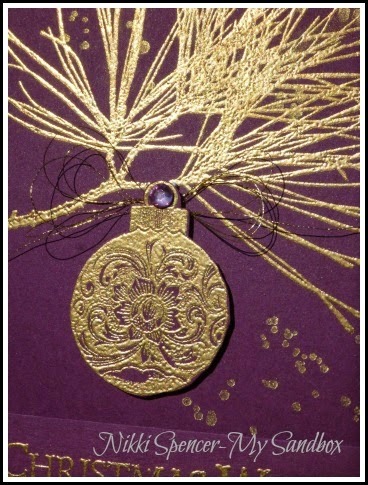 2 x silicon embossing mats (1x purple Sizzix-1x tan thinner style) on top of each other. 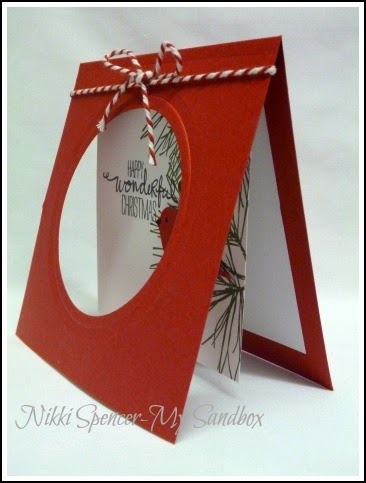 Framelit with the cutting side facing up. 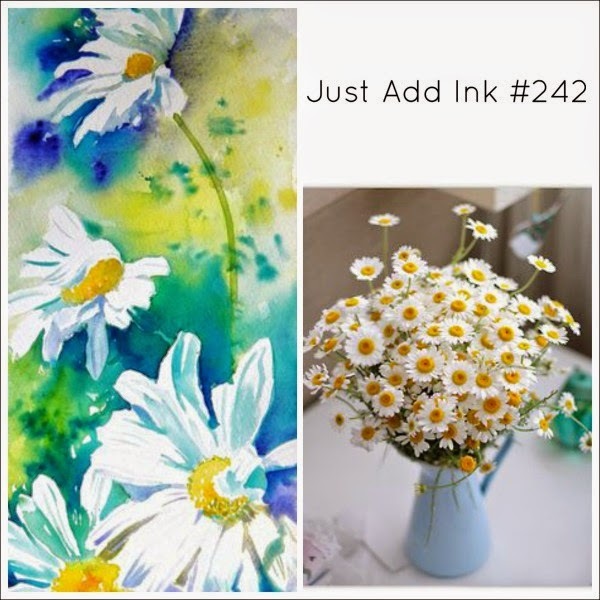 Hey there!.....It's Just Add Ink challenge time and this week we have some lovely colours to play with, that l hope will inspire you to play along. 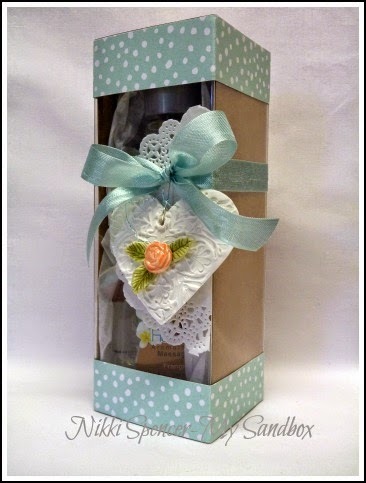 I started with a base of 12"x 12" Very Vanilla, using the largest box measurements and stamped the panels with the lovely "I Love Lace" background stamp in "Lost Lagoon". 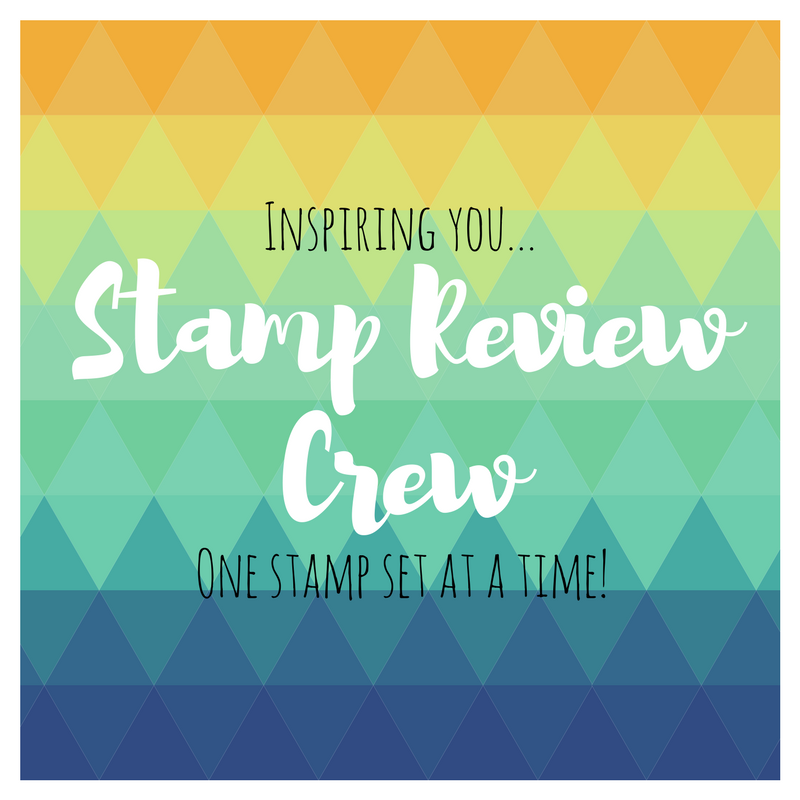 The design team have had a lot of fun creating with these colours and have provided some lovely inspiration to help get you started. 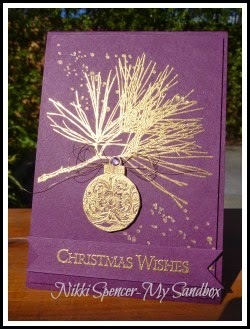 Afternoon all!....I'm back with another "Ornamental Pine" card to share. 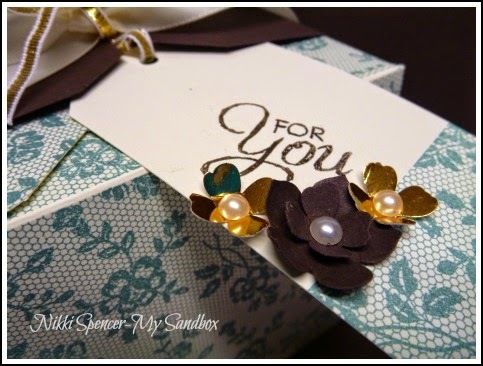 This one is very simple in product use, but is really effective with the gold on Blackberry Bliss. 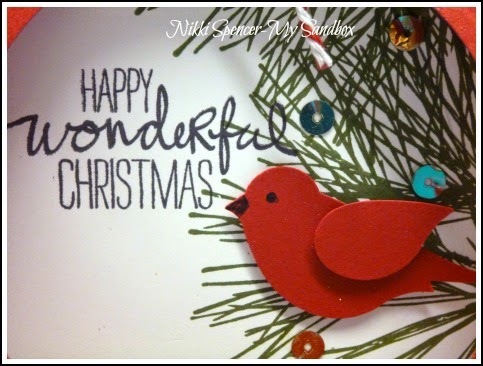 Now onto today's card. 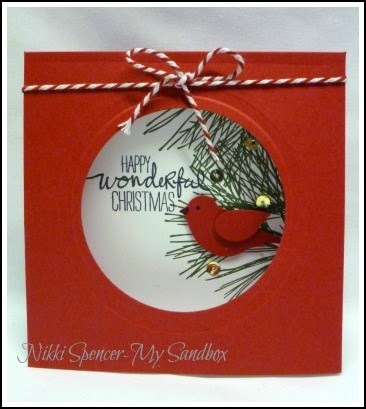 I thought l should get back into the swing of Christmas, as it's fast approaching and as we know, time just gets away! 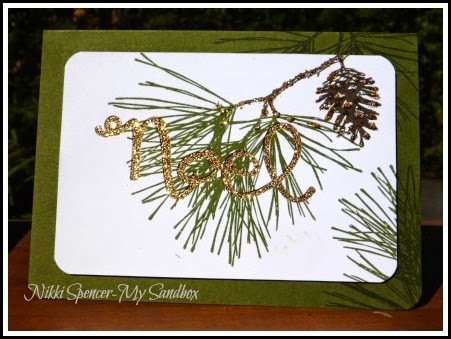 I used the Ornamental Pine set, inked up with Early Espresso & Mossy Meadow Markers. 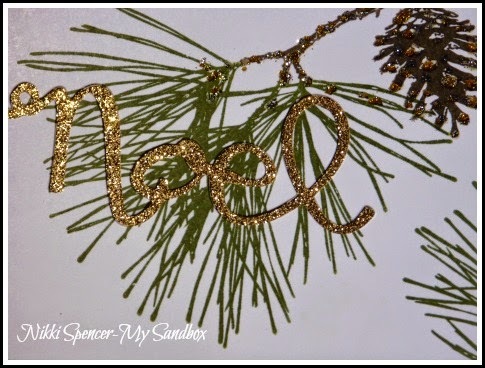 I diecut the noel from Wondrous Wreath, from the stamped panel and layered some Champagne Glimmer paper beneath, added some gold details to the pine cone and it was done.